I want to say that I’m a recovering perfectionist, but truth be told, I’m a struggling perfectionist. It’s a battle that I fight all the time. It’s one of those pretty struggles, right? We talk about how lying is sin and so are gossip and greed. But perfectionism? It’s a pretty sin. Perfectionism makes for SuperMom. In children, perfectionism is what leads to incredible grades in school and scholarships for the taking. Clean houses and happy homemakers. Or less-than happy homemakers, as mom tries to keep it all together so that no one knows how stinkin’ hard it is some days. Or maybe that’s just me. If you struggle with perfectionism too, then join me on this journey for the next 31 Days. As she does every year, The Nester is challenging us to write every day for 31 days straight. I haven’t had much time for writing lately, so I knew this was a challenge I needed to take. My friends and readers at my facebook page chose this topic out of several. 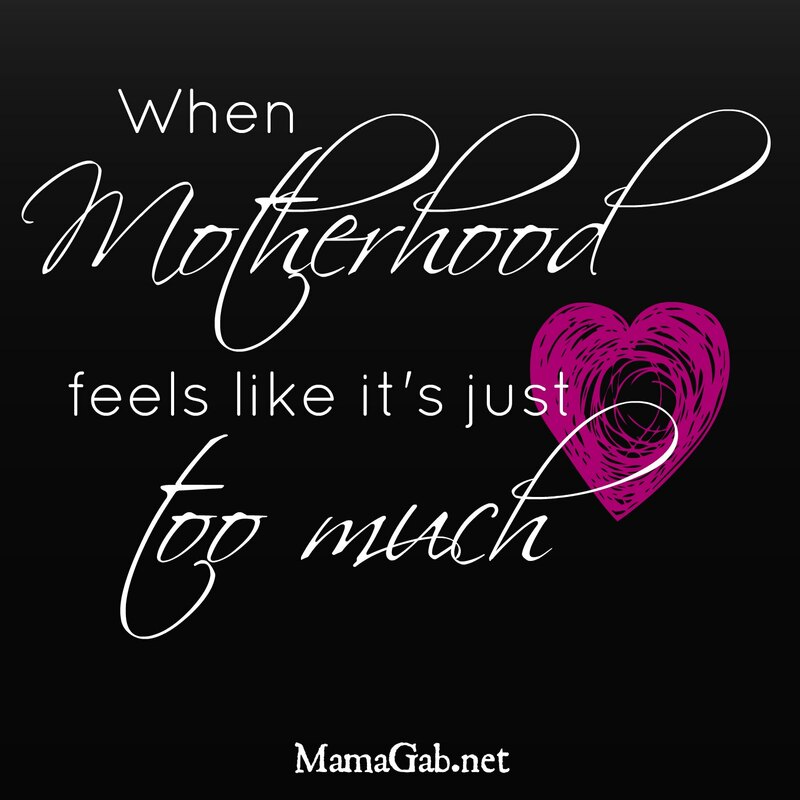 I think every mama struggles with perfectionism from time to time. So let’s join the battle together. I want to look at some of the root causes of perfectionism and then see how those things play out in our lives as mothers, wives, friends, and followers of Christ. I’m going to share personal stories of how perfectionism takes hold of me sometimes, and ways that we can fight this battle. I wish I could tell you that I had all the answers. I wish I could tell you that I’m so awesome that I never worry about a messy house or what people think of me when my toenails are chipped or I have baby spit-up on my shirt, but that wouldn’t be true. And I suspect that maybe, just maybe, you don’t want to be preached at anyway by someone who knows all the answers. I think we can learn more by going through this journey together. If you want to jump in with me, then subscribe to MamaGab by Email so that you don’t miss a single day of this series. And I just want to let you know that it’s going to be incredibly hard to write every day for a month, so I’m pretty sure there will be some highly imperfect blog posts. But that’s what it’s all about. Hopefully, by the end of 31 days, we’ll all be a lot less concerned about ourselves, our needs, and what others think of us, and instead be focused on serving Christ by serving others and putting their needs first. We’ll live for an audience of One. Want to check out all the posts? Thanks so much. Glad you understand and are fighting that battle with me. Thanks, Misty, I’m glad to know you are right there with me. It really can affect every relationship if we let it! I never believed in perfect but I tolerated those who did until recently. I’m About 10 Weeks pregnant and I can’t stand the pretty lies about pregnancy. The thing that gets me aggravated the most is how people around you (including nurses and certain doctors) basically see you as a host body for a baby. Every pain, discomfort, and sickness is being minimized and people are telling you “oh don’t worry, it’s not harmful to the baby”. When Did I Stop to matter as a person? When did I just become a uterus ? Why is it all about a baby that is less than 2 inches? Don’t get me wrong I love my unborn baby: I gave up migraine medication and suffered 7 days straight to avoid hurting my baby. I suffer from small fiber neuropathy that causes from mild to really severe muscle pains. I spent weeks without being able to lift my left arm to my face. I stopped all treatments because they cause birth defects. I already have long term conditions pains to deal with that the so called morning sickness is the nail in the coffin now. Why is it called morning sickness if in reality you suffer all day long? And why is it OK for people to treat u as needy or not strong enough because you feel really bad? Right now I don’t see much difference between pregnancy and typhoid disease that almost killed me twice: vomit everything you eat or drink, weak to the point of collapsing on the floor, fever, feeling like you have a flu that don’t heal, acid reflux and so forth… at least with typhoid, people, and nurses were not looking at me like a needy winy person. Why so different while people know you are pregnant? What is it about pregnancy that make people feel like a woman should sacrifice herself, shut up, take the pain and pretend it’s the greatest thing in the world? Why can’t we just be honest about it? I want a baby but I hate pregnancy right now! There is nothing enjoyable about it so far. And don’t tell me it’s a miracle. I know I’m blessed to be able to have a baby, that’s not the point. Morning sickness is portrayed as mild to moderate symptoms (that will not hurt your baby) but no one wants to address how it will make your regular life impossible: how can I be at work when I’m throwing up 3 to 5 times a day, and salivating profusely all hours of the day? I don’t even have enough breath to host a meeting at work. ..as a matter of fact I can’t ever have a conversation because my mouth is always full of saliva. I go over paper towel rolls just spitting, and the acid reflux, the burping, the diarrhea, then the crazy constipation…how do all these fit in a regular life? How I am supposed to function the same way as before? I don’t need pity or attention. All I need is the truth and the respect that comes with it. I’m not a pregnant woman with morning sickness, I am a woman suffering from real diseases associated with pregnancy!